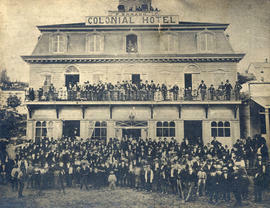 1000 Results for Hotels, taverns, etc. 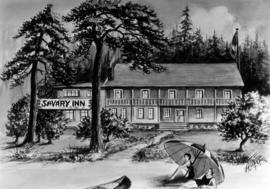 "Sunset Inn" Selma Park B.C. 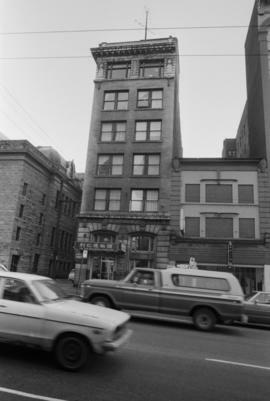 Item is a photograph in which signs for Dodson Hotel, Head and Knowltons Drugs are visible. 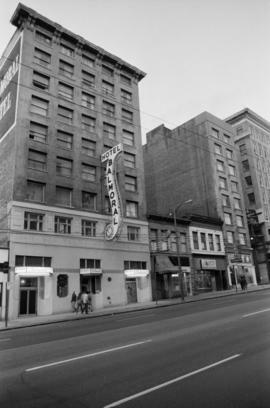 Item is a photograph in which a sign for West Hotel is visible. 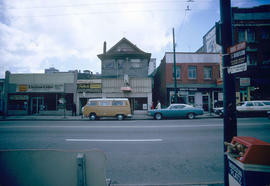 Item is a photograph in which a sign for Pig and Whistle is visible. 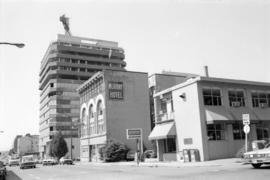 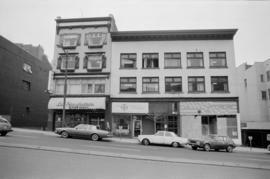 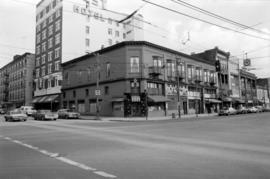 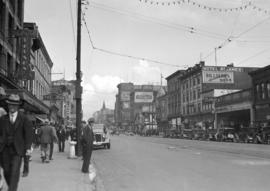 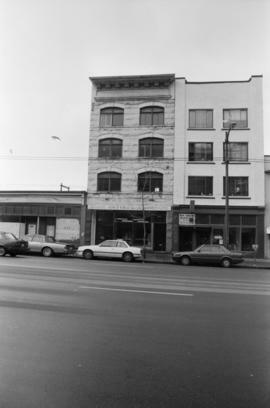 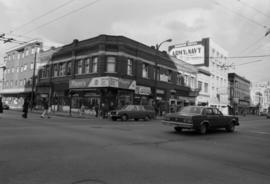 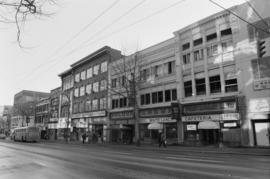 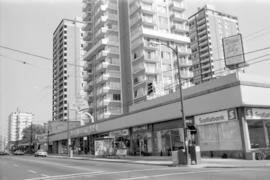 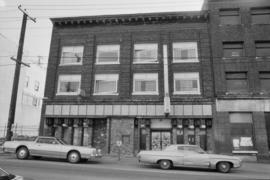 Image shows Vancouver Pawnbrokers Ltd. and the Royal Hotel. 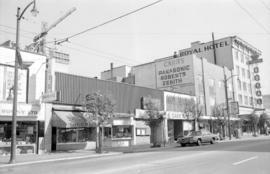 Item is a photograph in which a sign for the Royal Hotel is visible. 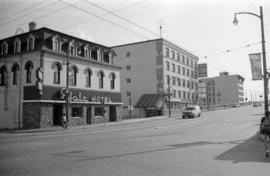 Image shows Leo's Camera Supply and the Royal Hotel. 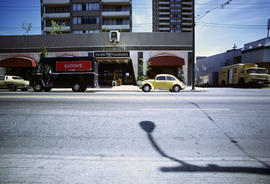 Item is a photograph in which a sign for Ivanhoe Hotel is visible. 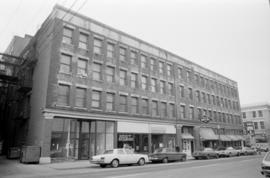 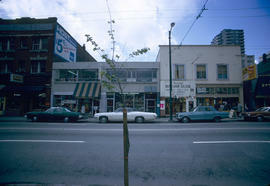 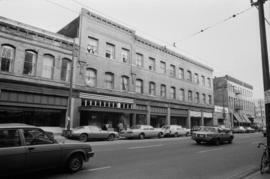 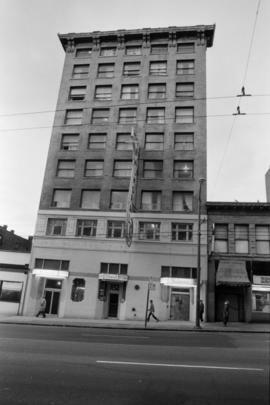 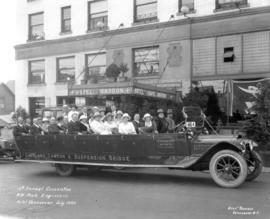 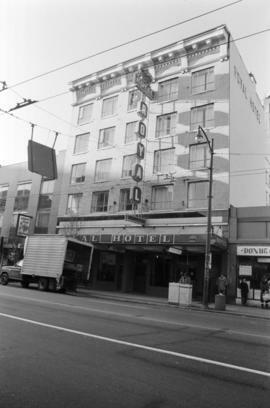 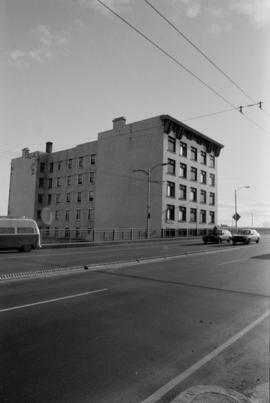 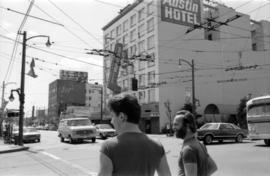 Photograph shows a Terminal City Motor Company open touring car in front of the Hotel Barron at 1002 Granville Street. 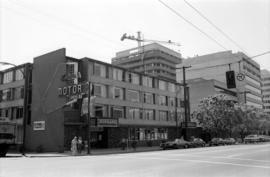 Image shows Burrard Motor Hotel. 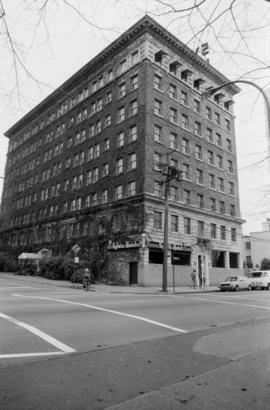 Image shows Blackstone Hotel [previously the Hotel Martinique]. 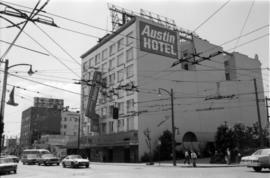 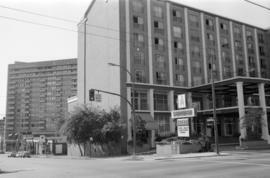 Images show Austin Motor Hotel. 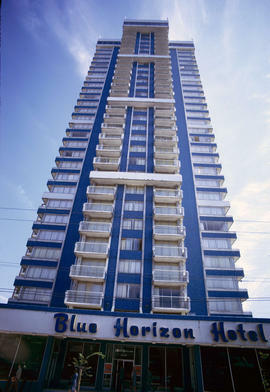 Image shows Blue Horizon Hotel and Bank of Nova Scotia. 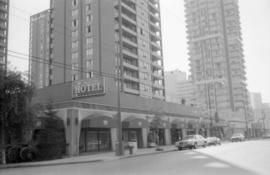 Item is a photograph in which a sign for the Hampton Hotel is visible. 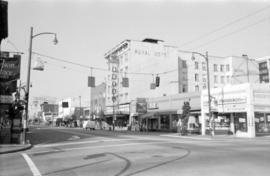 Item is a photograph in which signs for Golden Crown Hotel and White Lunch Cafeteria are visible. 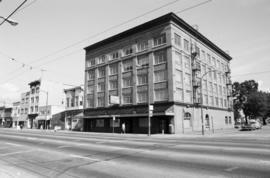 Image shows Yale Hotel and Cecil Hotel. 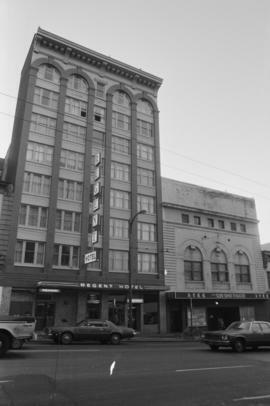 Item is a photograph in which a sign for Ah Chew Hotel is visible. 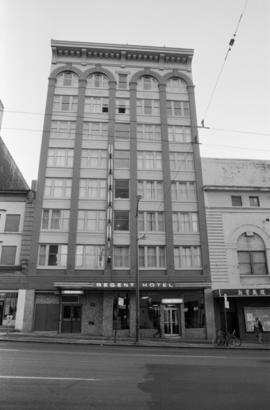 Item is a photograph in which a sign for Regent Hotel is visible. 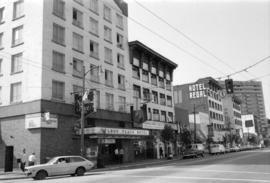 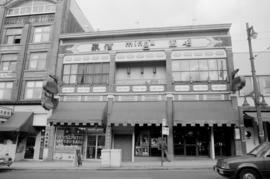 Item is a photograph in which signs for Regent Hotel and Sun Sing Theatre are visible. 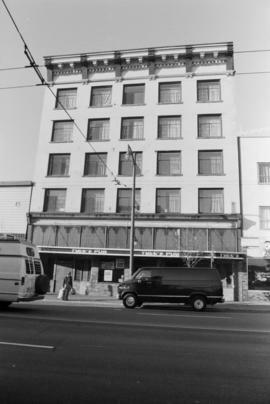 Item is a photograph of the Hotel Balmoral. 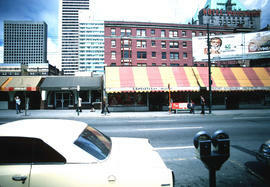 Item is a photograph in which a sign for La Spaghettata Ristorante is visible. 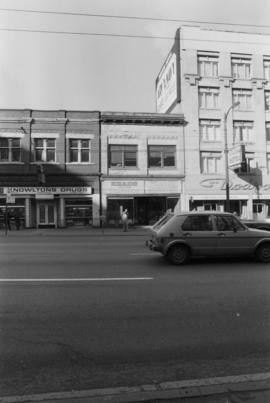 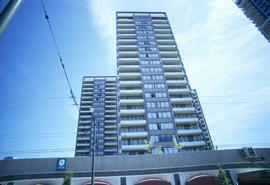 Item is a photograph in which a sign for Gastown Lodge is visible. 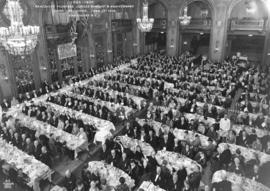 1886-1936 Vancouver Pioneers' Jubilee Banquet & Anniversary, Hotel Vancouver, June 13th 1936, Vancouver, B.C. 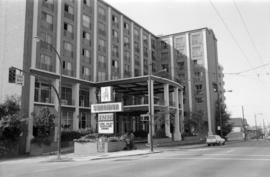 Item is a photograph in which a sign for Winters Hotel is visible. 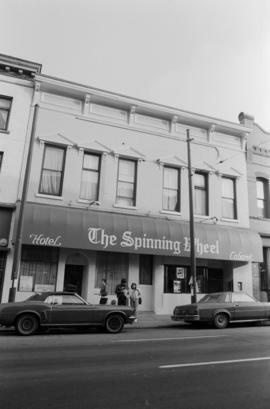 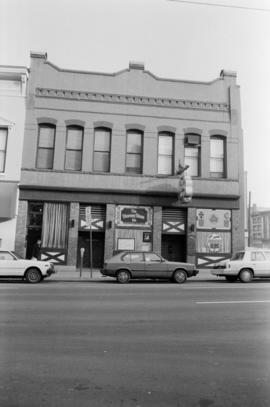 Item is a photograph in which a sign for The Spinning Wheel Hotel Cabaret is visible. 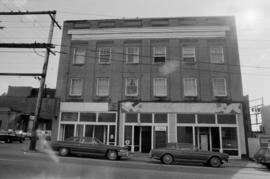 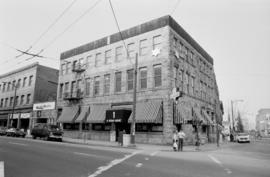 Item is a photograph in which signs for Dodson Hotel, Head, Winston Grocery, Hastings Cigar Store, Lux, and Knowltons Drugs are visible. 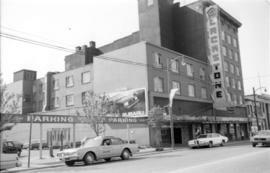 Item is a photograph in which a sign for The Blarney Stone is visible.